The foundation for any musculoskeletal assessment and treatment is the treatment table. It is also one of the most significant and long standing investments the practitioner will make. The treatment table is one of the foundations of the clinic’s style and helps define the atmosphere of the practice. 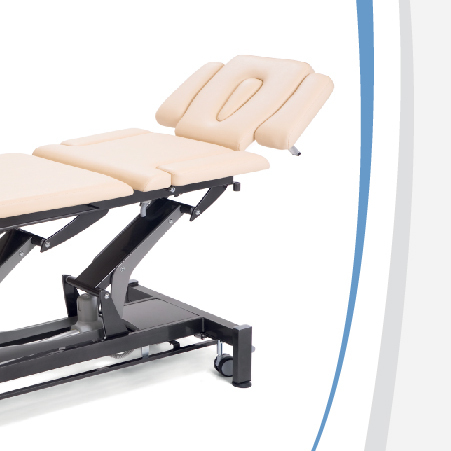 With more than 60 years experience in the rehabilitation arena, Chattanooga remains the practitioner’s partner in design and equipment.Chattanooga is proud to present our new and expanded line of treatment tables, offering a broader range of products and price options. From multi-section tables, Bobath treatment tables, to a solid fixed table and offers the practitioner real table solutions.